Well, we never made it to the Grand Ol Opry, but we DID stay in the Opryland area, at the Radisson, which was a more cost effective choice than Gaylord’s Opryland Hotel. The Radisson offered a free shuttle that took us to the Gaylord Opryland complex, where we had lunch. That place was clearly the country western fan’s version of Disneyworld: gorgeous setting, but mediocre, over priced food. Had we really wanted to attend the Opry, our just-in-time planning would have failed us. Considering that I thought Rascal Flatts was a singer’s name, it wasn’t a huge tragedy that we didn’t get tickets. Instead we made our way downtown, to enjoy the sights and sounds of Broadway. 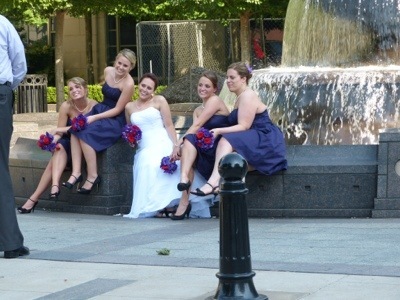 Looks like Mike and I weren’t the only ones to decide that memorial day weekend was a dandy time to get married. Have you ever worried that sitting on a bar stool is bad for your health? 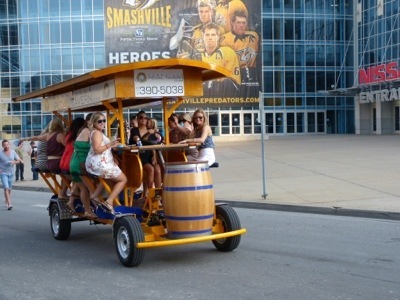 Nashville has effectively addressed that issue. Where are the Sombrero sisters when I need them? 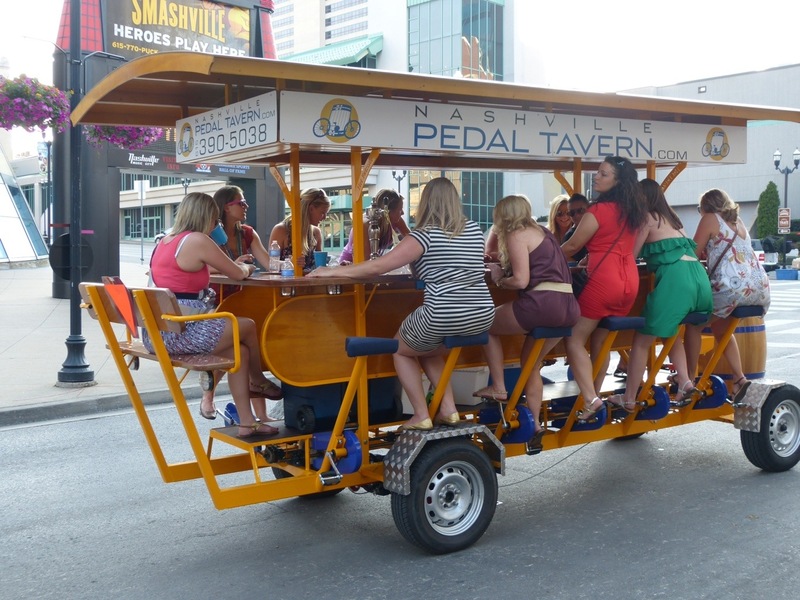 Gives new meaning to “pedaling your body all over town”. 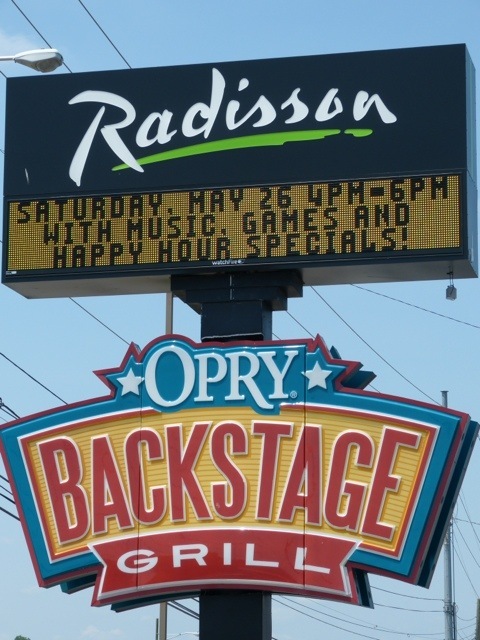 After enjoying the musical offerings on the street and in several bars, we made our way back to the hotel for an authentic barbecue dinner, with authentic country western singers, that will undoubtedly be discovered and soon be playing across the street on the big Opryland stage. On to Memphis, home of the King! I hope you make it back to Nashville sometime. It has much more to offer than country music! Thanks so much for stopping by my blog. We loved Nashville! My only regret was that we couldn’t stay longer. Dad would LOVE it out here!